Lavazza Qualità Oro coffee beans is a 100% premium Arabica blend. 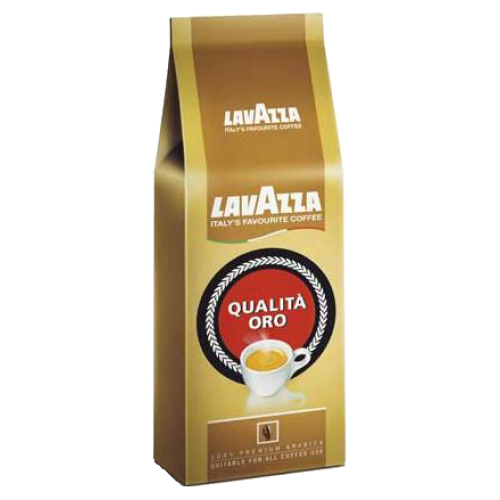 Lavazza Qualità Oro is an aromatic sweet, full-bodied coffee. This special Arabica blend results in a flavourful coffee without the bitterness. It is delicate and refined. It offers a rounded, sweet, smooth and indulgent taste.